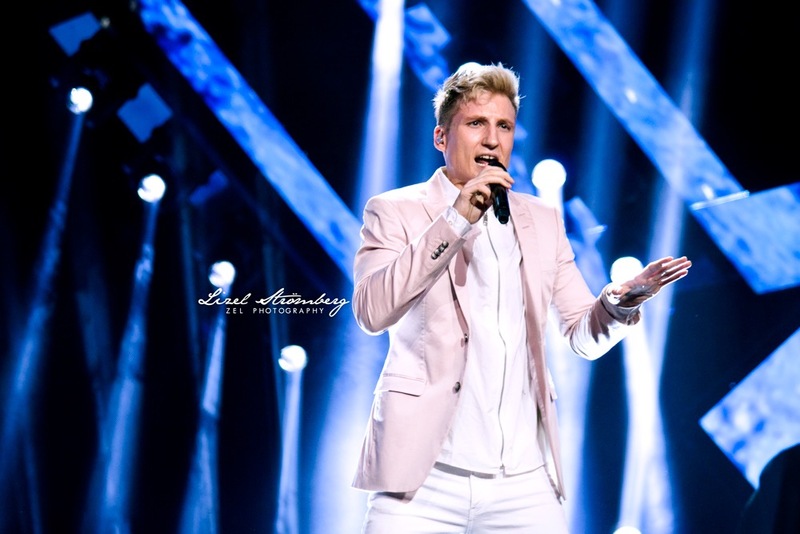 After battling it out in one of the most competitive semi-finals of this year's contest, Axel Schylström earned himself a second chance to perform for a spot in the finals. In his duel, he will face off against Lisa Ajax ("I Don't Give A") -- a peculiar duel to some but given the discombobulated approach to forming all of these duels, perhaps it's one of the less messy pairings. Now that he's had the time to experience the contest and his first live show to such an international audience, we caught up with him on the week of his second run. "I think [the number] went well. I am very satisfied. I just watched half of it. I don't like to watch myself because I like to keep the feeling that I have after I get off stage so I don't want to ruin that by watching it, if at some point I'm not satisfied by what I see." Schylström instead places trust in his team and his sense of the performance from rehearsal footage, so as to determine whether any changes will be made to it. He is surprised to hear that international viewers enjoyed his performance, as his prioritisation of lyrics means he himself doesn't listen to any songs he doesn't understand lyrically. Still, he opens up on what his influence was on developing the presentation of the performance. "In the big picture, I wanted it to be very energetic. I wanted everyone to feel happy about it, sit and dance on the couch with the candy, the good feeling at home. I think we succeeded and I think that we brought that feeling. That was our part of the semi-final, the energetic part, and I think it's the part of the show also this time. We're the energetic ones and I actually like to be that part because I think people at home appreciate it."